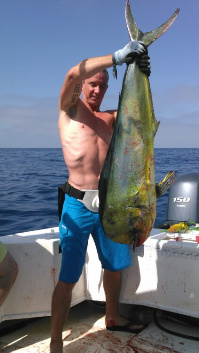 Welcome to Fin Runner Sport Fishing Charters, the best fishing charter San Diego has to offer. 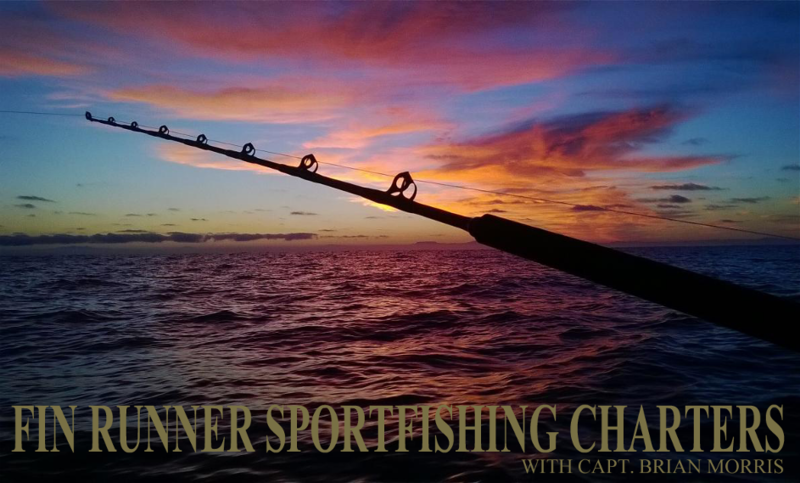 We specialize in custom, personalized fishing adventures! The San Diego waters are home to diverse ocean species, which you’ll see on your tours with us. Targeted offshore species include tuna, yellowtail, Dorado (dolphin fish, mahi-mahi), yellowtail, striped marlin, mako, and thresher shark. 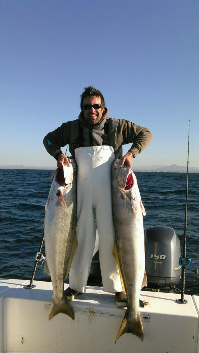 Inshore fishing includes yellowtail, White Sea bass, halibut, calico bass, sand bass, ling cod, rock fish and lobster. 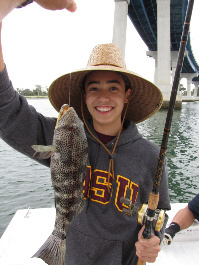 Apart from giving you a glimpse of the diverse aquatic life in San Diego, our fishing charters let you have the adventure you and your family are dreaming of. Once you climb on board our custom-designed boat, there’s no turning back. You’re in for a ride, and one that you’ll remember and want to get into again, for that matter. 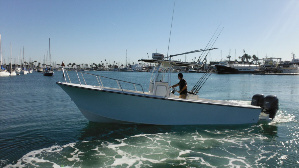 Spacious and specifically designed for deep sea fishing, the Fin Runner is everything you’d want a fishing boat to be. It has the latest radar and navigation technology and other equipment to keep your trip safe. It’s the ideal place for fishing, giving you a clear, uninterrupted view of the waters and the day’s catch. It’s certainly where you’d want to fish on under the Southern California sun. What’s a boat without a captain? Captain Brian Morris has years of experience in fishing and navigating ships. 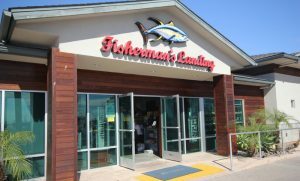 The marine merchant has been guiding tourists, out-of-town guests, and even local fishermen and whale watchers in having the ideal ocean adventure for over a decade, and has received recognition for it. With the captain on board, your trip can’t be on safer, more reliable hands. As with any tour, ours has a catch or two. 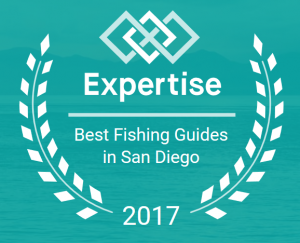 In addition to the seasonal fish species like the Albacore tuna, Sand Bass, and Dorado, other catches are a San Diego deep sea fishing or custom tour you and your family will surely enjoy. We offer ½ day local trips, full day offshore blue water fishing, customized spear fishing trips, and in-harbor and offshore dolphin and whale watching. 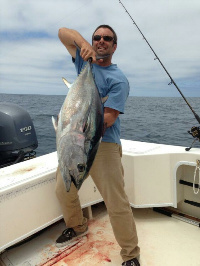 Whether you’re from out of town, living around South California, or going on vacation, Fin Runner Sportfishing Charters will bring you to a one-of-a-kind aquatic adventure. That, perhaps, is the biggest catch of joining. Check out our website for our schedules, pricing, and other details. Give us a call today. We can’t wait to welcome you aboard.